Coaching is an empowering process which can assist you to achieve your personal and professional goals. It is a future-orientated solution-focused process. Coaching helps you look at where you are now, where you would like to be and what actions you are willing to take to move you towards your goals. Dreams and ideas will stay just that unless you are willing and motivated to take action. It is a also a great way to develop your skills and abilities at a pace and direction that you choose. Your coaching session will typically take place as a conversation. My role as your coach is to objectively listen and support you, challenge you when needed with thought provoking questions and help you to gain new insight and clarity. You will come up with your own solutions to move forward and love doing so! Coaching will enable you to take time to think. It will provide you with the opportunity to feel truly listened to and will help build your understanding and awareness of key areas in your life which you would like to change. It will help you take ownership of your personal situation and achieve your potential. You are your guiding compass. 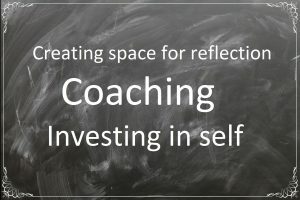 What will my coaching sessions look like? Insight Coaching & Consultancy Ltd can support you to work through a specific issue with a focused 1-hour coaching session or provide you with a package that supports you for a longer period. For further information click here. The number of sessions you will need depends upon you and the progress you make towards achieving your outcomes. Whether you choose to commit to undertake a programme of six coaching sessions or choose a 1-hour session to work through a specific challenge, I will explore what you would like to achieve, review your progress and identify the next steps into your new future. Click here for further information. How long does your coaching session last? Your coaching sessions will typically last between 45-90 minutes but will depend on your needs.